When your intellect transcends the mire of delusion, then you will attain to disgust of what has been heard and what is yet to be heard. When, perplexed by what you have heard, you stand immovable in samadhi , with steady intellect, then you will attain yoga . You commend, O Krishna, the renunciation of action and you also praise yoga. Tell me definitely which is the better of the two. Both renunciation and the yoga of action lead to the supreme good. But of these two, performance of action is superior to the renunciation of action. The attitude of gratitude is the highest yoga. 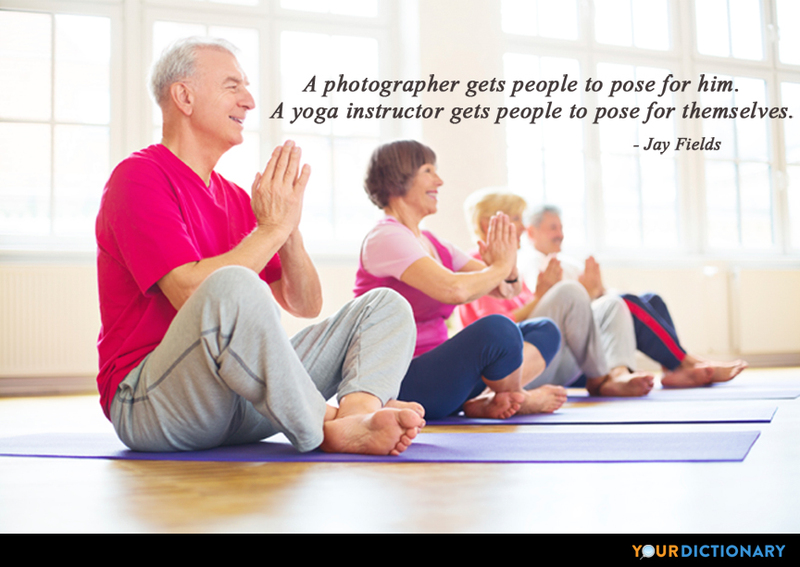 yoga involves a lot more than just striking poses. Traditional yoga has eight parts (angas or limbs). There are four practices and four experiences for which one should strive. Two generations ago, yoga was a mysterious Eastern practice few Americans knew much about. Fifteen million Americans now say they include some form of yoga in their fitness regimen, and about 75% of all American health clubs offer yoga classes. Vogue and self are putting out the message of yoginis as buff and perfect. If you start doing yoga for those reasons, fine. Most people get beyond that and see that it’s much, much more. The yoga pose that you avoid the most you need the most. I heard by grace of Vyasa of Krishna’s highest mystery, yoga from the Lord of yoga explaining personally. Through mantra, we can awaken the Divine light within us and expand beyond the limitations of space, direction and manifestation. Through mantra, one can learn to ride the waves of cosmic light and sound, going back to the Divine Word at the heart of the world. This is the cosmic form of Mantra yoga known known only to Yogis who have gone beyond the body and mind. The real Meaning of yoga is a deliverance from contact with pain and sorrow. ...it is one of the few forms of exercise that has been studied separately in relation to depression. yoga means ‘union’. It is often interpreted as the union of mind, body and soul, and can provide perfect harmony and balance. yoga science is not just a scholarly pursuit. It is a moment by moment and thought by thought practical guide for living.